Norway’s Andreas Bakkerud embarks on the seventh round of the FIA World Rallycross Championship at Holjes in Sweden this weekend following his strongest performance of the year so far at Hell in Norway three weeks ago. 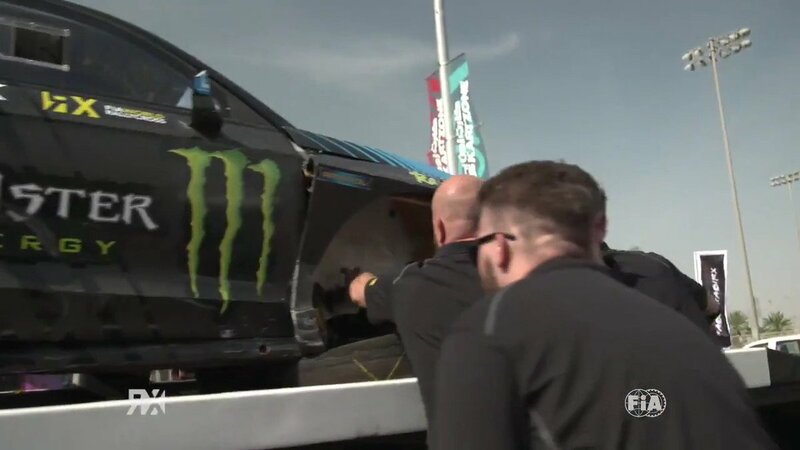 Last year, at ‘The Magic Weekend’ in Holjes, Bakkerud claimed his second of three 2017 victories (the others were in Norway and Argentina), but the Hoonigan Racing Division had to fight back after damaging his Ford Focus RS RX’s suspension in a qualifying race. Bakkerud started on the front row of the grid in the final next to Sweden’s Timmy Hansen, and as Hansen led the field on lap one, Bakkerud took his joker lap. Hansen was followed by Peugeot-Hansen team mate Sebastien Loeb, Volkswagen RX Sweden’s Anton Marklund and EKS’s Mattias Ekstrom on the first lap, Ekstrom taking his joker on lap two and returning to the main circuit behind Bakkerud. Marklund passed Loeb at the end of the first lap after the jump but following his joker lap, returned to the main circuit behind team mate Johan Kristoffersson, who had taken his joker on lap one. Kristoffersson later experienced technical problems and was passed by Marklund for fourth place. Hansen and Loeb took their jokers on the final lap, Bakkerud moving into the lead to claim victory. Hansen experienced a problem after the jump on the final corner and was overtaken by Loeb for second place just before the finish line. Ekstrom retired his car with a problem. Hansen was also involved in last-corner drama at his home event in 2015 too, where he passed Ekstrom to claim victory, but was later penalised for the move and the positions were reversed. Read the Holjes RX event preview here.